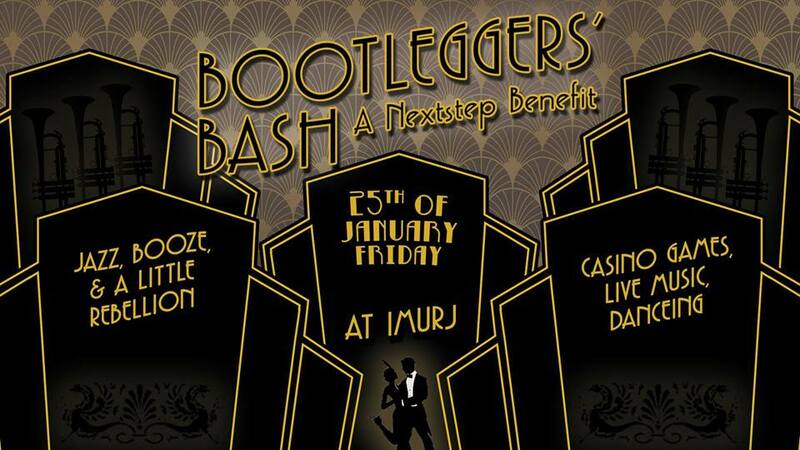 A huge THANK YOU to everyone that came out to support NextStep Raleigh at the Bootlegger's Bash at IMURJ on Friday night. We had an amazing turnout with well over 100 attendees, and everyone looked fantastic in their 1920s style swag. There was a costume contest, gambling, dancing to three bands, a silent auction with tons of great items, a live auction that was really fun (thank you, outstanding auctioneer Sarah Santoro Thor) and a raffle which you could use all your mad gambling winnings for. Thanks to everyone's generosity we were able raise over $9,000 to benefit our center. With all your generous donations, we will be purchasing parallel bars and establishing our scholarship fund for our members. We hope to have your continued support in 2019 as we continue to grow and connect with our community.